It's a bird! It's a plane! 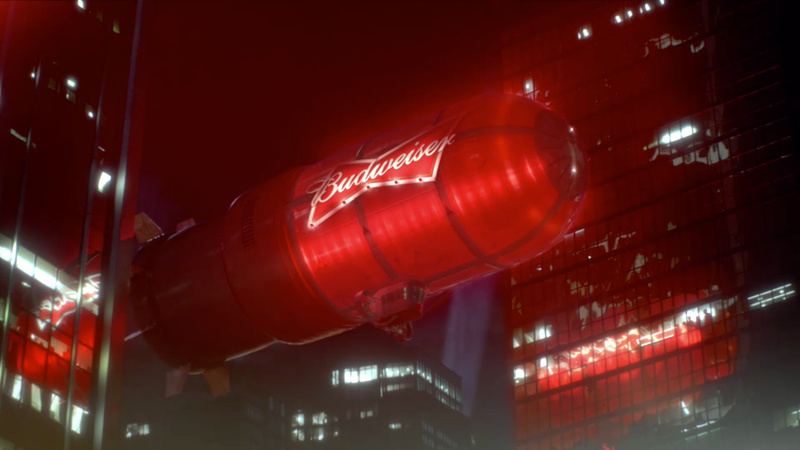 Nope, it's a Budweiser blimp shaped like a hockey goal light! The Mill+ teamed up with Anomaly Toronto on this epic Budweiser Super Bowl spot airing during the big game (just in Canada). And what could grab a Canadian's attention during a football game more than hockey? Mill+ created the huge CG goal light blimp, that is seen floating over Canada after a game-winning goal and quickly, there's a black out around the world, except in Canada, where celebration ensues and the blimp lights up the streets. This clever and enlightened spot is part of an integrated campaign. Fans are currently able to buy these goal lights. They come with an SD card that hooks up to a smart phone. When your team scores, the light goes off. This spot is the unveiling of what will be a real 80ft flying blimp, like the one seen in the spot, that will fly above major Canadian cities during the Sochi Olympic games. When the Canadian hockey team scores, the blimp will light up and make noise. In addition to the blimp Mill+ created the 3D earth scene and built the crowd in massive. Go ahead and celebrate, Canada!